The electronics department have important responsibilities in the astrophysics CTA experiment and in the gravitational waves experiment VIRGO. 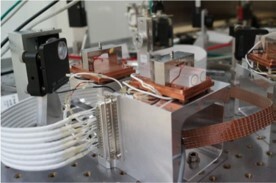 The department is involved in the electronics upgrade for the interferometer. 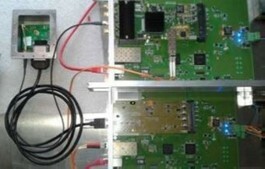 The VIRGO electronics team designed and produced the main part of the data acquisition system. It includes the full chain from the analog photodiodes preamplifiers, the sampling and finally to the digital data processing. The team also developped systems for dedicated functions as signals generation, data distribution and timing management. The team developped a very versatile architecture based on the use of a carrier board (DAQ box) which can carry several types of mezzanines. 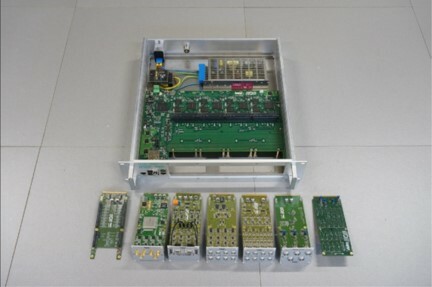 All the processing is done on the carrier boards thanks to powerful programmable components (FPGA and DSP) while mezzanines perform dedicated functions : analog to digital conversion (ADC), digital to analog conversion (DAC), digital demodulation, powering and control of the photodiodes, powering and control of the digital cameras. This architecture allows to develop quickly new funtionnalities on new mezzanines. The department develop all the associated firmwares. The team has developedthe low noise photodiode preampliers. After good results on the security and slow-control developments for the HESS experiment, the department has the responsibility of the security and slow-control activities of the cameras for LST and Nectar-cam. The agents develop crates controled by the Labview software. The department is also responsible of the auxiliary systems in LST. 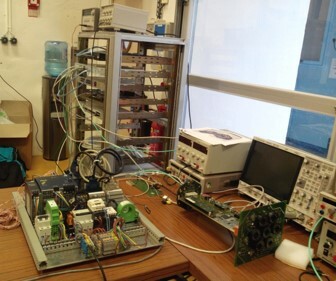 In collaboration with the software department, the electronics department developed a standard access layer for the detectors slow-control data (Multipurpose OPCUA server, copact-RIO). These developmments are common with the SUPERNEMO experiment. For the Nectar-cam and MSTs cameras, an agent is the system ingeneer and is responsible of the global technical constistency for the collaboration. The department caraterize SiPM (silicon photo-multiplier) for possible future applications in cameras and the ingeneers developed an ASIC dedicated to SiPM readout.